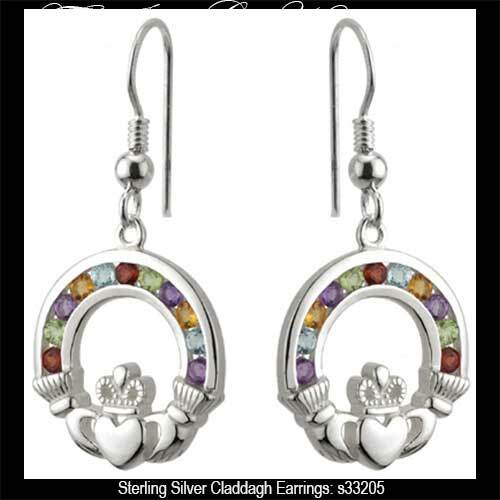 Sterling silver Claddagh earrings are enhanced with semi precious stones. These sterling silver Claddagh earrings feature channel set semi precious stones that consist of garnet, citrine and peridot along with Swiss blue topaz and amethyst. The Claddagh earrings are a drop style on fishhooks that measures 1/2" wide x 1 1/4" tall, to the top of the wire.